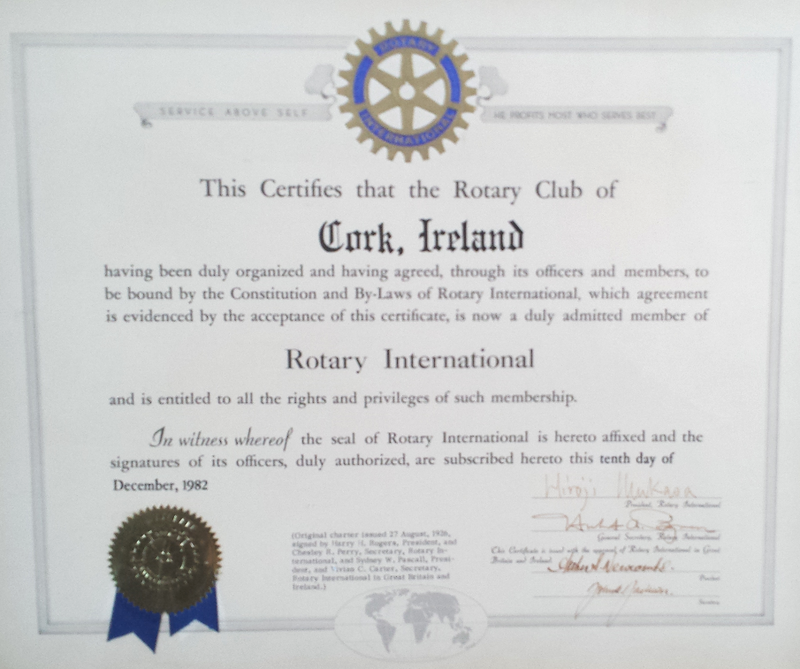 This is our club charter, the original club charter was signed in 1926. This is a health clinic in Rombo, Kenya that Rotary clubs helped to fit out with medical equipment. 600 women used this clinic in the first 30 days following it's opening. Our Sand Dam project in Rombo, Kenya built with the help of Rotary clubs. It brings water to 1,000 people. The Rombo visitors house was built in Kenya so that Rotary members can visit the projects we have successfully completed. The biggest rock star in the world paying homage to Rotary. He says "everywhere I go about my work in Africa, the Rotarians have been there before me".